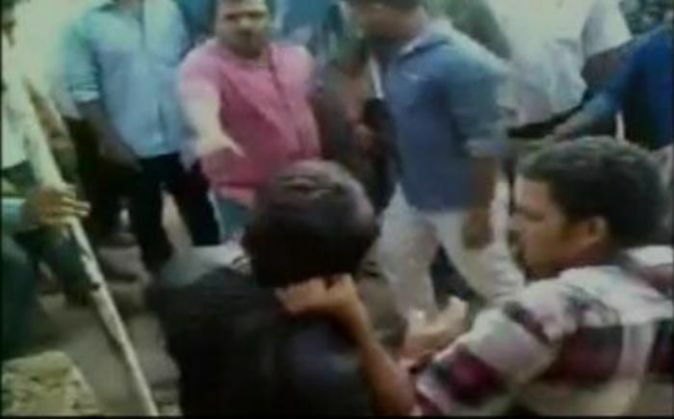 A day after a 28-year-old man was allegedly stripped and assaulted in full public view by members of right-wing outfits for being with a girl of another community in Mangalore, the case has taken a new turn. The girl has alleged that she was being harassed by the man who also misbehaved with her and claimed that she was in fact rescued by the group. The man identified as Shakir was stripped and tied to an electricity pole before being beaten up on 24 August. He was hospitalised later. Following the incident, the Mangalore Police swung into action and arrested 15 persons. Shakir claimed that the girl had asked for money and he was assaulted while he was giving her the cash. He was initially kicked and assaulted by two persons and others joined them later, he said. However, giving a different version, the girl lodged a complaint with a women's police station, alleging she was being "harassed" and "blackmailed" by him. The girl reportedly said the man, who was working with her in a super market had been sending messages to her over phone for the last few months and had tried to misbehave with her a couple of times. She also alleged that he was blackmailing her saying he had a video clip of her sitting in his car and requested the police to take action against him.